This is going to cover the last several trips I ran. 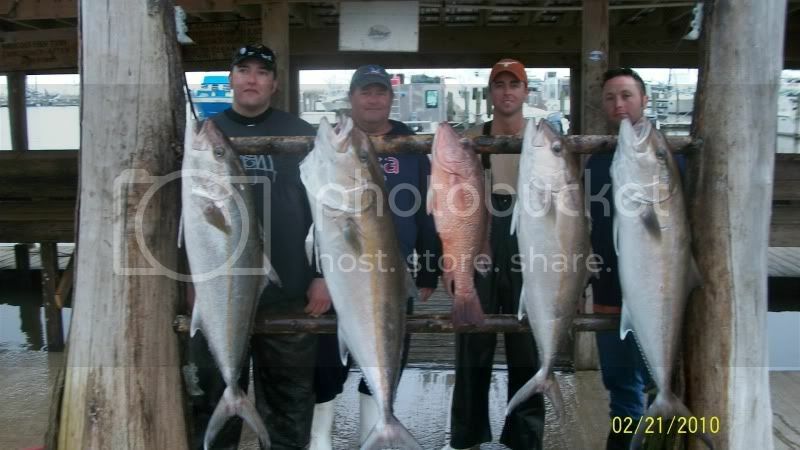 Started out with a day trip with Scott Ervin and crew. 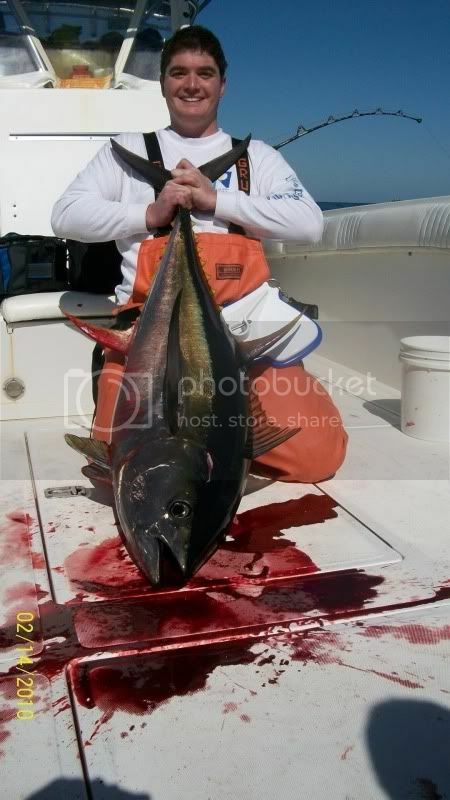 We went out to the spot and started with a king slaughter before we hooked a yf and it came off. Started another drift and hooked up another yf. Got color on him when one of the guys says he sees a shark. 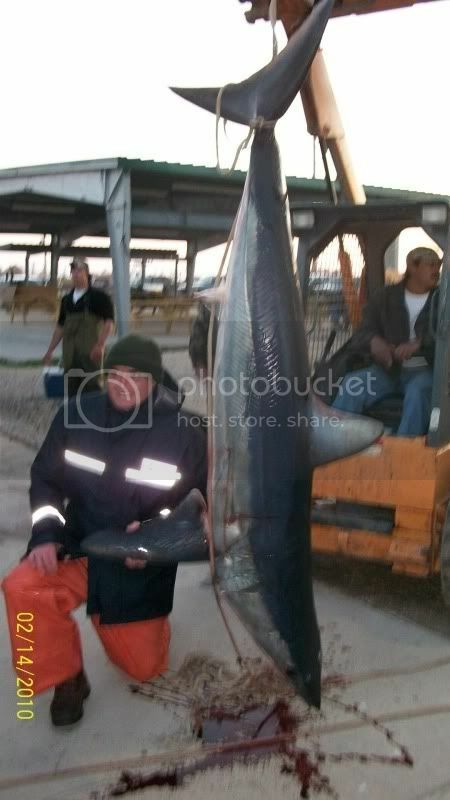 Then capthoop (my deckhand for the day) says its a mako so this is where it gets interesting. I hook up the 80 with a slab of king and throw it out and it eats it but it wont swim away. 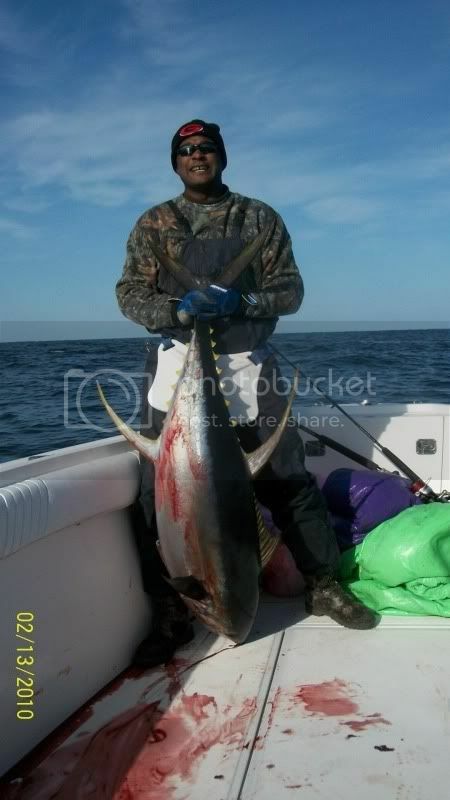 I couldnt drive away from it like normal because we had the tuna 10 feet down off the bow of the boat. 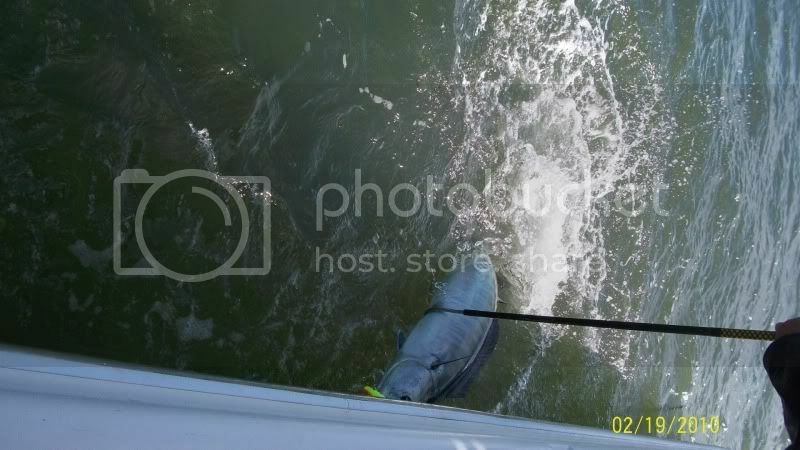 So I decide in one of my less bright moments to set the hook and straight up it comes about 3 feet in front my face and does a summersalt and bounces off my transom and back into the water, Luckily that was the end of the excitement as it went away from the boat. We boated the yf and then chased down the mako and put a flying gaff in her. She was about 275 pounds or so. 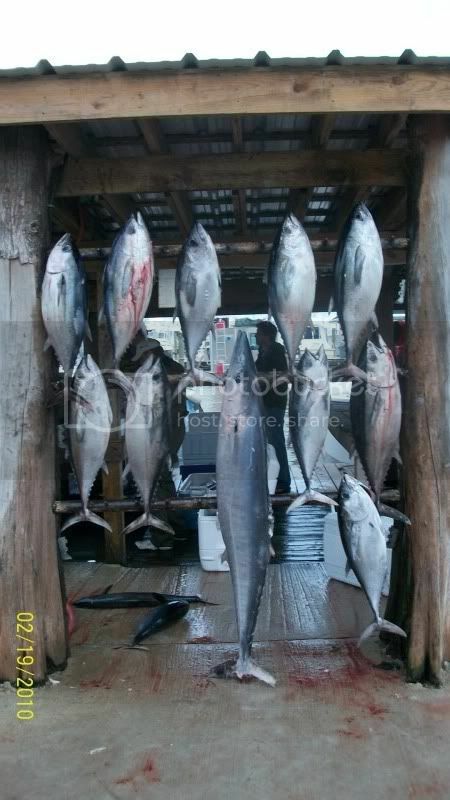 WE fished for tuna some more before we went inside and started jigging for ajs and groups. Plus I taught Jakers the bucket trick. 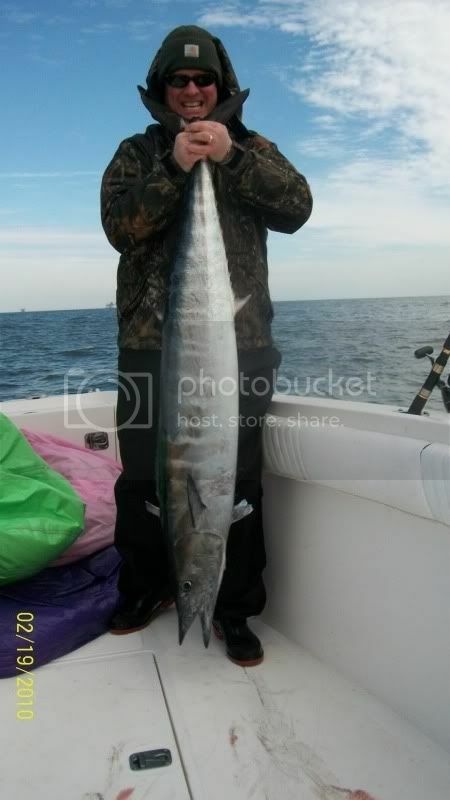 I headed out the next day with Jeb Blair for some more action (hopefully) I pulled up about a half mile off a rig to start trolling it and instantly had a hit and lost a wahoo at the boat. 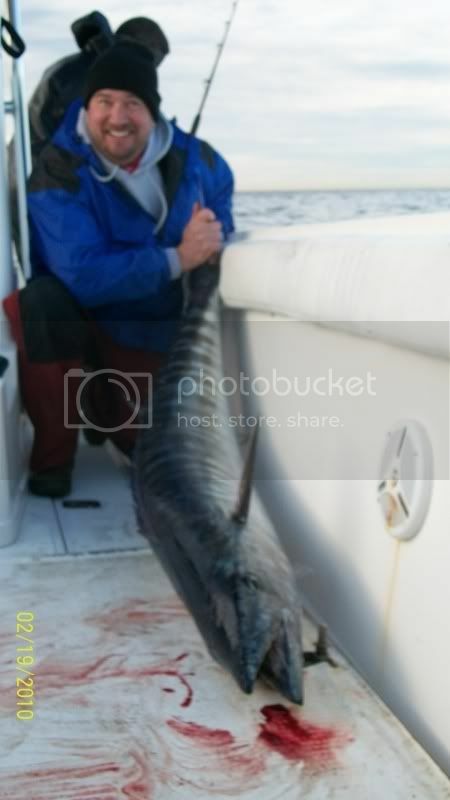 Put the baits back out and hooked up and landed a really big wahoo. At this point I figured the rig was loaded with hooters but no bites around any of the rigs in the vicinity. So after scratching my head I decided to go way away from the rigs and just troll to the next set about 8 miles away. 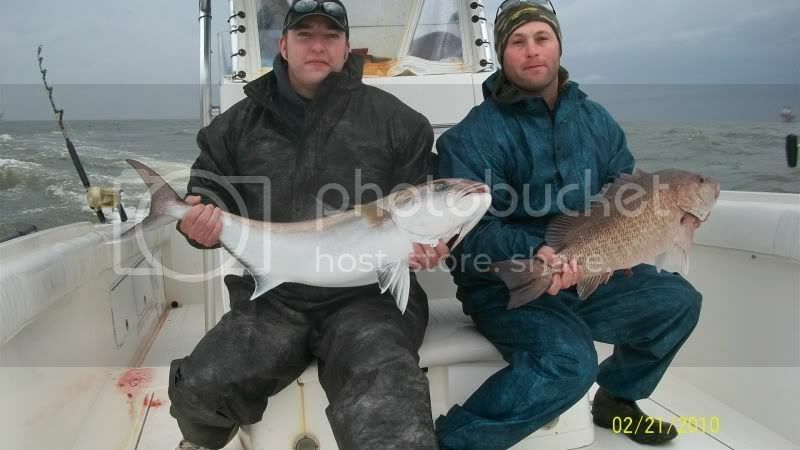 Within 20 minutes we had another one in the boat. 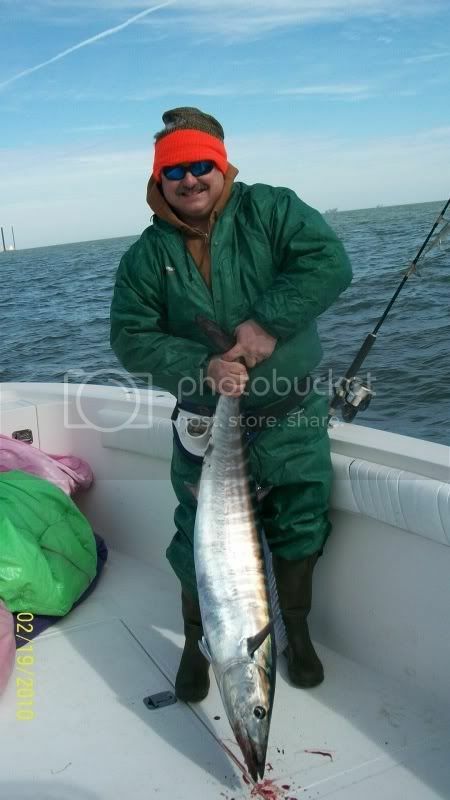 I just kept trolling open water and popping wahoo every so often into the boat. I think we ended up going 6-12 for wahoo overall and lost a huge one that almost dumped my 50 wide on its first run. 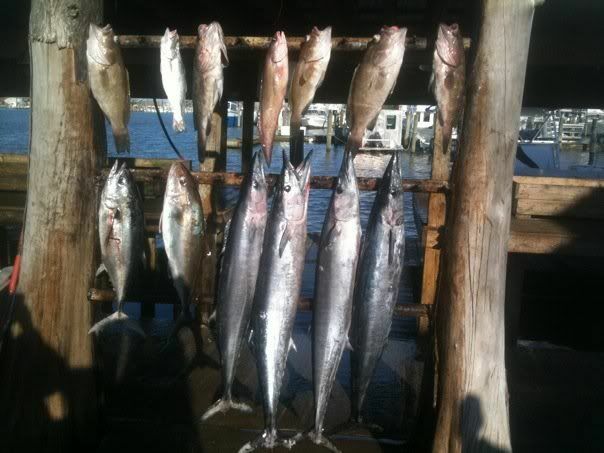 I did make it to that set of rigs and of course no hooters on it but I did get a limit of ajs trolling off it. My trip cancelled for Sat but I happened to run into Justin and his 34 fountain at the dock fri night and asked if they needed help the next day and they let me ride along. 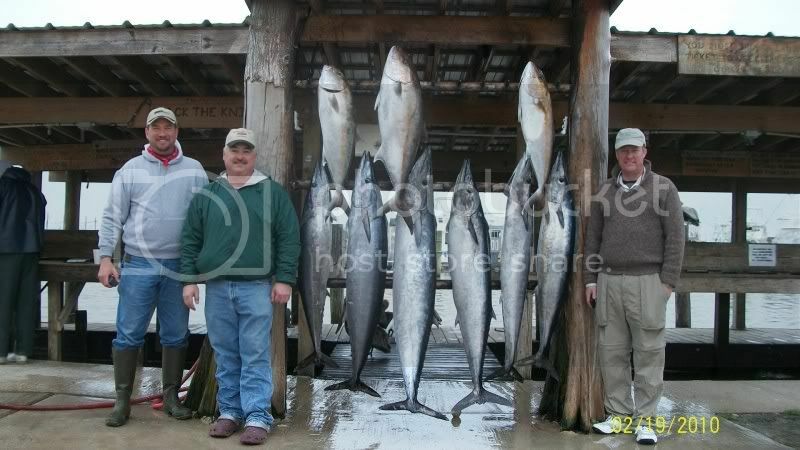 We left out early the next day and rolled bacl to my wahoo spot. The fish had moved a little bit but they were still in open water as we picked up two wahoo and a blackfin in about 40 minutes of trolling. 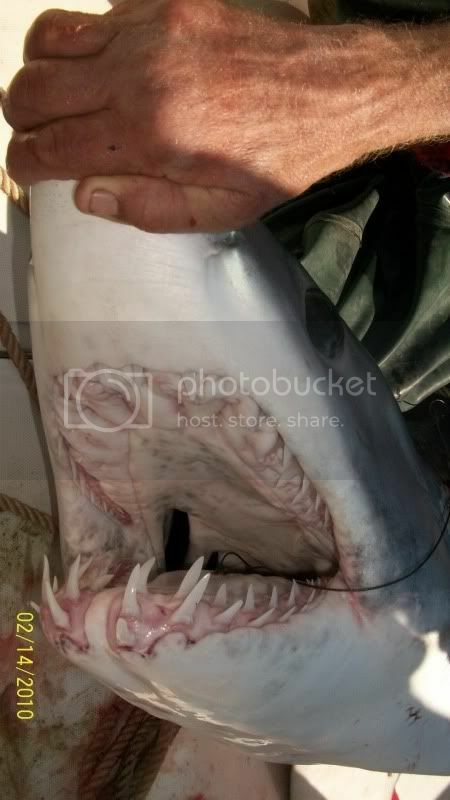 The bite slowed after that so we trolled east to another set of rigs with no luck. Pulled up to the set and managed to pick out two more wahoo in them as well as a bunch of jack crevelles. We did miss one more wahoo before we tried bottom fishing. 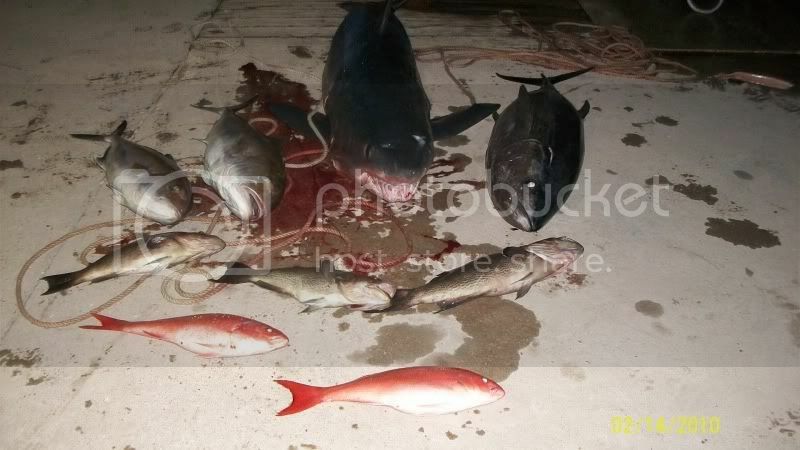 Only caught one aj, one bigass eel and one giant manta ray. I headed out the next day with anthony carlos and friends to look for some more hooters and found out the hard truth that they were gone gone. I didnt get a bite or see anyone else bring one to the dock. 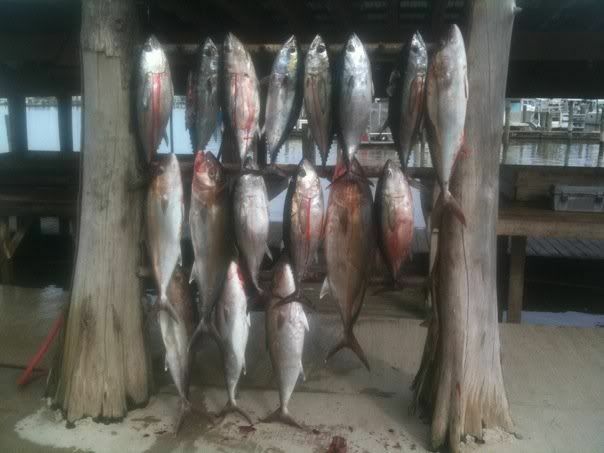 The good thing was the ajs were still biting on the troll pretty well and we limited out on ajs trolling plus caught another mangrove trolling and had to let 5 red snapper go that also bit the bombers.